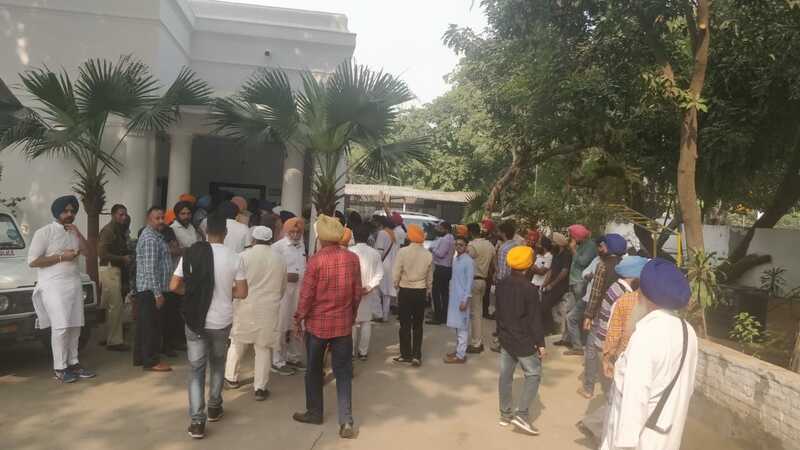 Guru Itehas da katil murdabad, Apmaan Guru da nahi sahenga, Capt Amarinder isteefa deve, Cong party Hai Hai & Panth ki Jeet rent the air in front of CM Capt Amarinder’s residence. 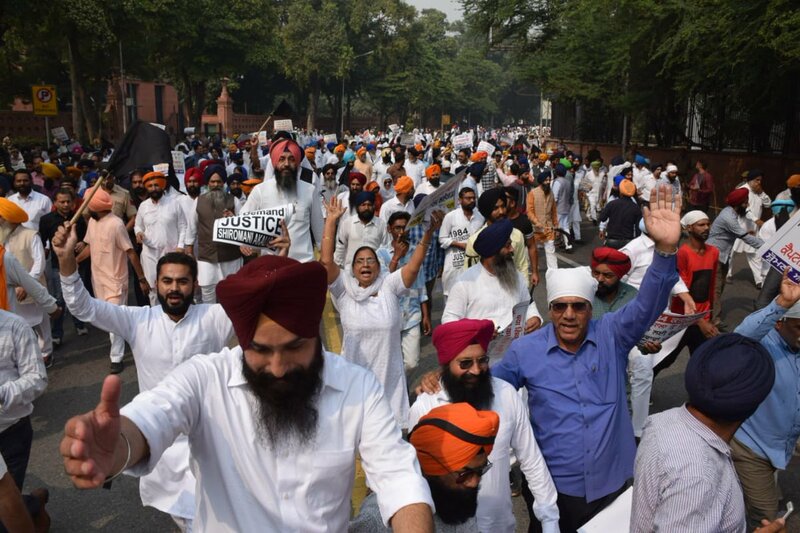 The SAD & the Sikh Sangat is one in ensuring justice for the sacrilege committed by the Cong govt. 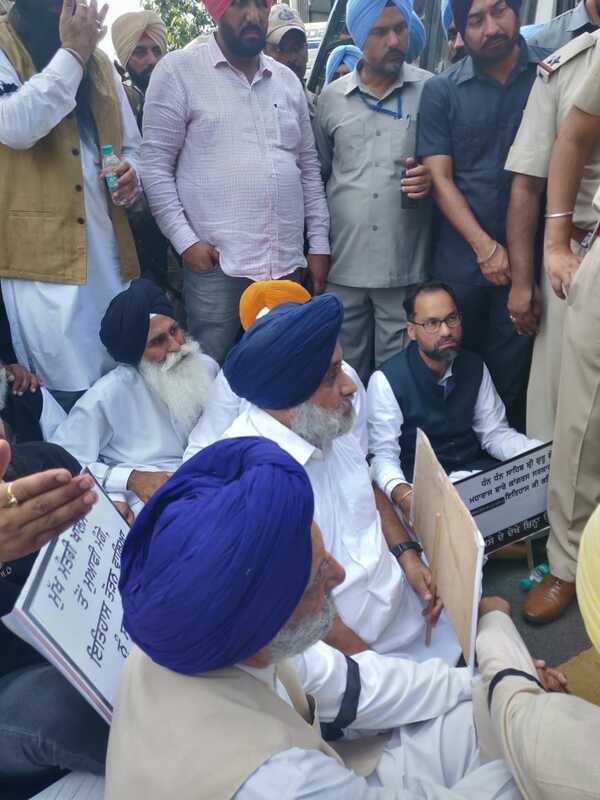 Proud to lead SAD leaders & MLAs after breaking barrier after barrier to reach residence of CM @capt_amarinder to register protest against denigration of Guru Sahiban in history books under Congress regime. 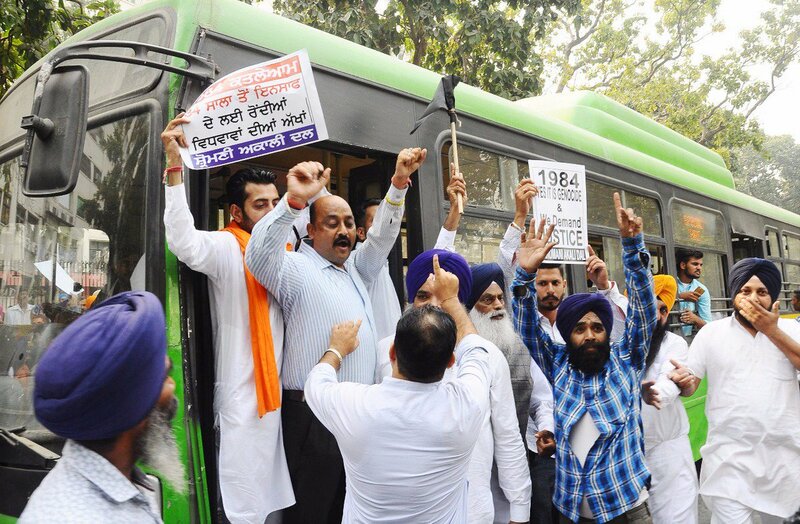 Our protest will continue till CM apologises and the guilty are punished. 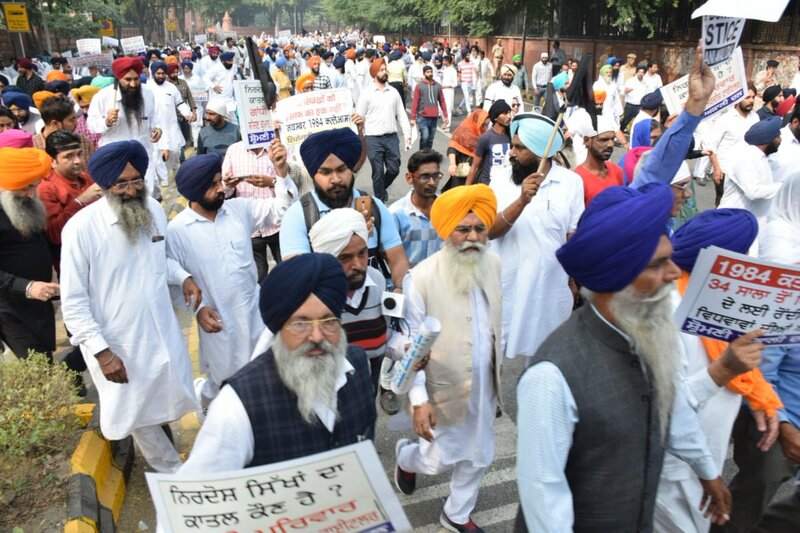 I am thankful to all the Sikh Sangat, Akali leaders and workers who came all the way to Delhi to support the struggle against the #SikhGenocide1984. I am hopeful that the perpetrators of this barbaric act will soon be punished. 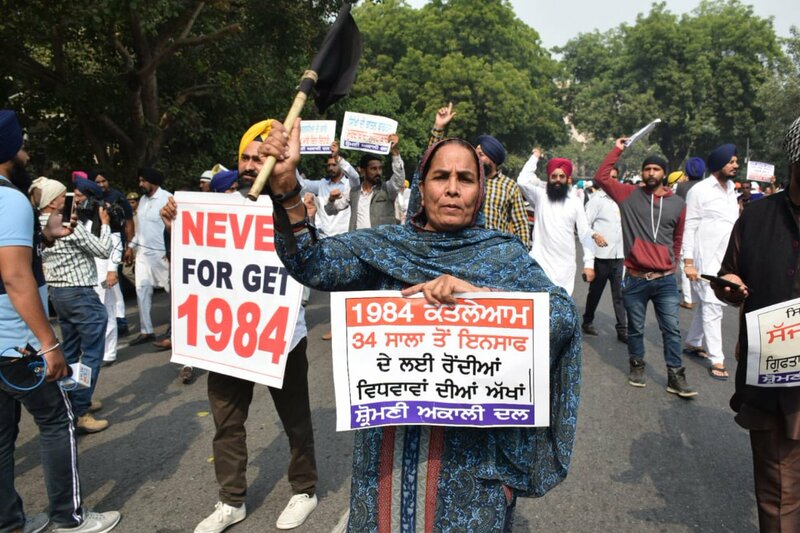 SAD workers & Sikh Sangat courted arrest in Delhi to protest against continued protection of Cong leaders who perpetuated #SikhGenocide1984 by Gandhi family as well as need to bring them to book. 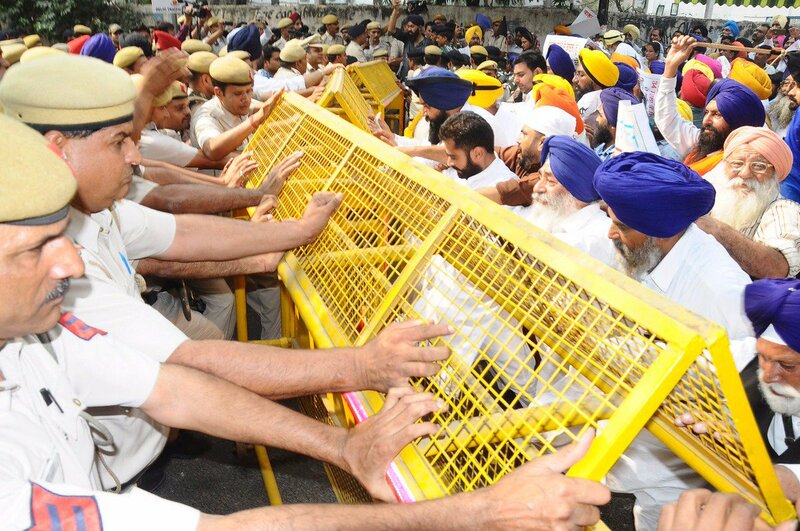 I was taken into custody at Tughlaq Road along with senior leaders & workers. Whenever Iyer writes I respond with better and Real Story. I don’t have Detailed Economic Data but observations are Politically Accurate – some difference may be there in GDP figures, which are not presented correctly in Time & Region wise. IYER has reported how rift between Finance Minister Liaqat Ali Khan& Home Minister Vallabhbhai Patel escalated and led to Partition of India on Issue of Taxes. Both Vallabhbhai Patel and Liaqat Ali Khan didn’t Consider & Realize the ECONOMIC CONSEQUENCIES of Partition which was the CORE Issue at that time. Gujarat perhaps contributed 15% of United India GDP [20% of Indian Region] and Sindh 10% - Gujarat now accounts for 7% of GDP Net of India and 5% United India and Sindh $83b which is less than 3% of India-Pakistan-Bangladesh GDP together. Political Disagreement between Gandhi and Jinah reduced the ECONOMIC Contribution of Gujarat+Sindh to around 8% at present then 25% to may be 30% before 1947 partition. BAD CAPITALISM FAILED IN SOUTH ASIA. Now Gujarat has 40% more GDP– Sindh 7% more than National Averages. Ø Gujarat and Sind regions of United India accounted for over 70% of UI Trade that mainly originated in Gujarat and Sind. Ø Though Ports are ACTIVE due to Location but Non Petroleum Exports from Gujarat may not be 5% and 2% for Sindh of United India Geographical region. Ø Gujarat and Sind produced around 50% of Consumer Goods in United India – Textiles, Manufacturing, Oil & Gas, and Trade alone has huge PROFIT MARGINS, Gujaratis & Sindhis could migrate from hundreds of ports along the Coastline and establish in Africa, Europe & North America. Ø More than 50% of Prominent Political Leaders mostly CAPITALISTS & Industrialists came from Bombay to Karachi belt. Gandhi, Jinah, Patel, Tata, Bajaj, Wadia etc. Ø Gandhi-Patel-Jinah CONFLICT Led to Partition & Bombay Karachi belt Lost ECONOMICALLY & POLITICALLY. Baring briefly Bhuttos and Morarji Desai – now Modi from Varanasi – had little political influence. Global Gateway: Gujarat is a leader in exports with more than 20 percent share to India’s aggregate exports. 39.82 % of all cargo and more than 71 per cent cargo handled by Non-major ports of the Country is from Gujarat. GSDP Share: With only 4.99 per cent population share, Gujarat accounts for 7.6 per cent share to National GDP. (v) The candidate as well as the concerned political party shall issue a declaration in the widely circulated newspapers in the locality about the antecedents of the candidate and also give wide publicity in the electronic media. When we say wide publicity, we mean that the same shall be done at least thrice after filing of the nomination papers. After the Judgement of the Apex Court, the Election Commission of India (ECI) had issued a circular to all the Chief Election Officers of the States and Union Territories apart from the President/ General Secretary of all recognised National and State Political Parties on 10th October, 2018. This circular, apart from highlighting the changes made to the format of the affidavits of the contesting candidates, had also directed all candidates with criminal cases against them, either pending or cases of conviction in the past, to publicise this information in newspapers with wide circulation. This direction of the Election Commission was also to all the political parties that set up candidates with criminal cases against them. 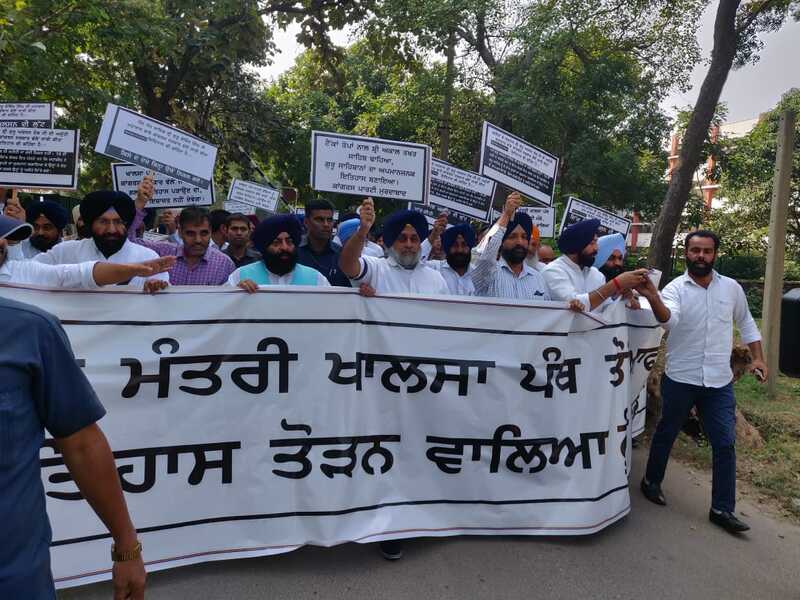 The ECI had also directed the contesting candidates to submit copies of the newspapers in which their declarations about criminal cases were published to the District Electoral Officers at the time of filing their election expenditure statements (within 30 days of declaration of results of Assembly Elections). Contesting candidates are required to “…publish the above declaration on TV channels in the State concerned on at least three different dates…” In order to adhere to the Model Code of Conduct, such declarations should be completed before 48 hours of polling date. The candidates are also required to declare before the Returning Officers that they have informed their political parties of their criminal antecedents. This declaration has been included in the newly amended format of affidavit (Form-26) for contesting candidates. This declaration by political parties is also required to be done at least thrice on three different dates before the date of poll, in the same format and font size recommended for contesting candidates. Political parties are required to “... submit a report to the Chief Electoral Officer of the State/ UT…” so as to confirm that the direction of the ECI had been followed, along with relevant newspaper cuttings. The ECI has also stated that “... failure to abide by these directions would be treated as failure/ refusal to carry out a lawful direction of the Commission for the purposes of paragraph -16A of the Election Symbols (Reservation & Allotment) Order, 1968. This release is being circulated by ADR for larger public interest and wider voter awareness. We appeal to the print, electronic and online media to monitor and highlight the fact whether the above mentioned directions of the Hon’ble Supreme Court and the ECI are being followed and implemented by the Political Parties and their candidates. · Party wise Candidates with Criminal Cases: Among the major parties, 7(39%)out of 18 candidates from Indian National Congress (INC), 3 (30%) out of 10 candidates from Janta Congress Chhattisgarh (J) (JCC), 1 candidate each from from Gondwana Gantantra Party (GGP) and SP and 3 (5%) out of 66 Independent candidates analysed have declared criminal cases against themselves in their affidavits. · Party wise Candidates with Serious Criminal Cases: Among the major parties,4(22%) out of 18 candidates from Indian National Congress (INC), 2 (20%) out of 10 candidates from Janta Congress Chhattisgarh (J) (JCC) and 2 (3%) out of 66 Independentcandidates analysed have declared serious criminal cases against themselves in their affidavits. 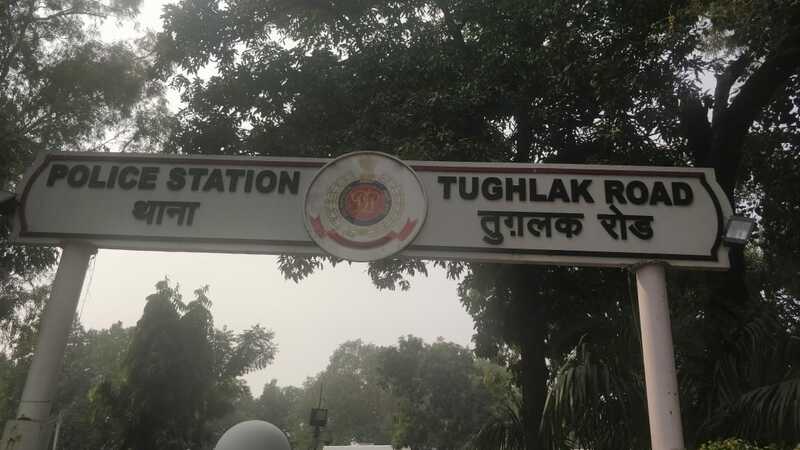 · Red Alert Constituencies*: There is only one constituency namely Jagdalpur in the first phase of Chhattisgarh assembly elections having 3 or more candidates with declared criminal cases. · Crorepati Candidates: Out of the 187 candidates, 42 (22%) are crorepatis. · Party wise Crorepati Candidates: Among the major parties 13(72%) out of 18 candidates from INC, 13(72%) out of 18 candidates from BJP, 4 (40%) out of 10 candidates from JCC(J), 2(25%) out of 8 candidates from SHS, 1(13%) out of 8 candidates from BSP, 1(10%) out of 10 candidates from Ambedkarite Party of India and 8 (12%) out of 66 Independent candidates have declared assets worth more than Rs. 1 crore. · Average assets: The average of assets per candidate contesting in the first phase of the Chhattisgarh Assembly Elections is Rs 1.42 Crores. · Party wise average assets: Among major parties, the average assets per candidate for 18 INC candidates is Rs. 2.90 crores, 18 BJP candidates is Rs 2.12 crores, 8 BSPcandidates have average assets of Rs 34.19 lakhs, 8 SHS candidates have average assets worth Rs 50.41 lakhs, 16 AAP candidates have average assets worth Rs 27.02 lakhs, and 66 Independent candidates have average assets of Rs. 33.29 lakhs. · Undeclared PAN: A total of 42 (22%) candidates have not declared their PAN details. · Sources of Income: 5 (3%) out of 187 candidates have not declared their sources of income. · Candidates who have not declared Income Tax Details*: 117(63%) out of 187 candidates have not declared income tax details. · Education details of candidates: 119 (64%) candidates have declared their educational qualification to be between 5th and 12th, while 60 (32%) candidates have declared having an educational qualification of graduate or above and 5(3%) candidates have declared themselves to be just literates. There is 1 candidate namely Jems Kudiyamfrom Bijapur (ST) constituency had not declared his educational qualification. · Gender details of candidates: 14 (8%) female candidates are contesting in the first phase of the Chhattisgarh assembly election this year.